If you’ve already started meeting with potential wedding vendors, you’re probably aware that each vendor has a vendor payment schedule. This usually consists of a deposit to book their services, possibly other smaller deposits and then a final balance. Here is an outline of what payments to expect when contracting your wedding vendors. Almost every single wedding vendor we’ve worked with requires an initial vendor payment to secure their services. This is typically due upon signing the contract for their wedding services. The deposit is almost always non-refundable, and here is why. When a wedding DJ or vendor books your wedding, they are blocking off that date on their calendar. Which means no other wedding can take your spot, their services are secured for you. If you cancel your booking, it is very unlikely that the vendor will be able to fill the spot they have reserved for you. That is why most vendors will not refund deposits. Many vendors, such as ones that start working on your wedding prior to your wedding day, require several deposits to be made over the course of your engagement period. Take a wedding planner for example, their work starts the day you book them as they are helping you plan your wedding BEFORE your wedding day. This type of vendor clearly should be paid multiple payments before the wedding day since much of their work is completed before the wedding day. Keep track of which vendors require payments and when so you stay on track with your vendor payment schedule. Your final balance can be due anywhere from a few weeks to the day prior to your wedding day. If you booked a vendor that doesn’t require the final balance until your wedding day, we would suggest paying them in advance anyway. The last thing you want to do on your wedding day is frantically search for your credit card or check book to pay a vendor. 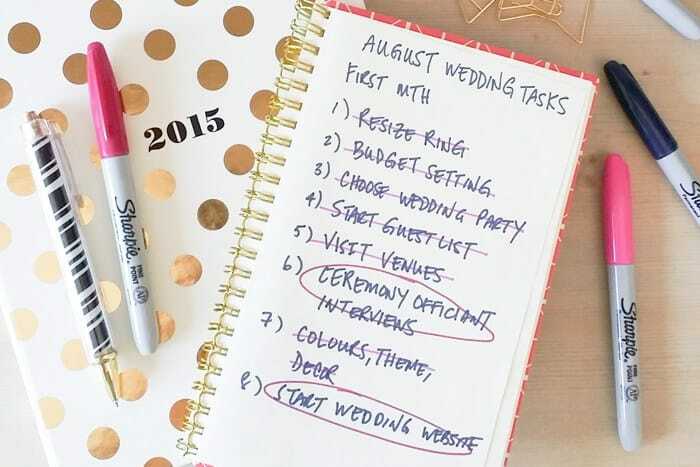 Curious about other wedding vendor tips? Take a look on our blog.